What: The Seton Hill University Master of Fine Arts in Writing Popular Fiction program and the Westmoreland Library Network will host a speech, book signing and reception featuring Hugo Award Winning Author N.K. Jemisin. The event is free and open to the public, however, tickets are required. Tickets can be obtained through the Seton Hill Box Office online or by calling 724-552-2929. When: Tuesday, January 10, 2017, at 7 p.m.
Where: Seton Hill University Performing Arts Center, 100 Harrison Avenue, Greensburg, Pa.
Who: N(ora). 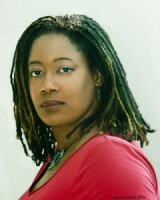 K. Jemisin is an author of speculative fiction short stories and novels who lives and writes in Brooklyn, N.Y. Her work has been nominated for the Hugo (three times), the Nebula (four times), and the World Fantasy Award (twice); shortlisted for the Crawford, the Gemmell Morningstar, and the Tiptree; and she has won a Locus Award for Best First Novel as well as the Romantic Times Reviewer’s Choice Award (three times). In 2016, she became the first black person to win the Best Novel Hugo for The Fifth Season. Her short fiction has been published in professional markets such as Clarkesworld, Postscripts, Strange Horizons, and Baen’s Universe; semipro markets such as Ideomancer and Abyss & Apex; and podcast markets and print anthologies. Her first seven novels, a novella, and a short story collection are out now from Orbit Books. Her novels are represented by Lucienne Diver of the Knight Agency. She is currently a member of the Altered Fluid writing group. In addition to writing, she has been a counseling psychologist and educator (specializing in career counseling and student development), a sometime hiker and biker, and a political/feminist/anti-racist blogger. She currently writes a New York Times book review column named Otherworldly, in which she covers the latest in Science Fiction and Fantasy. Background: The Seton Hill University Master of Fine Arts in Writing Popular Fiction Program in conjunction with the Westmoreland Library Network is hosting this special event with N.K. Jemisin as part of its January residency, one of two, week-long, on-campus residencies held each year. The event will include a speech by Jemisin and a book-signing reception to follow. Seton Hill’s unique Master of Fine Arts in Writing Popular Fiction program teaches students to write marketable novels in popular genres like mystery, romance, science fiction, horror, and fantasy. Additional specialties include literature for children and adolescents, and cross-genre blends like romantic suspense or young adult mysteries. Students attend two weeklong, on-campus residencies each year to master the core elements of fiction writing and effective marketing and to gain inspiration from faculty mentors and special guests, all published authors in genre fiction. Established authors mentor students one-on-one as they work toward completing a market-ready manuscript from home. Readings, classes, and on-line discussion about the history, trends, and techniques of genre fiction add depth to the student's experience. For more information about the Master of Fine Arts in Writing Popular Fiction program at Seton Hill, visit here or contact Seton Hill’s Office of Graduate and Adult Studies at 724-838-4209.